What are your plans for tomorrow? 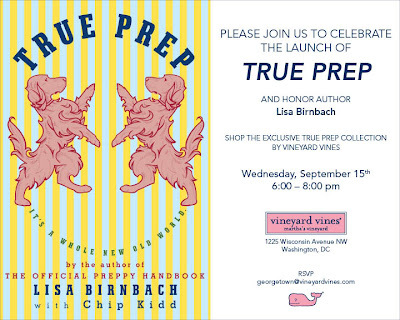 Make a trip to Vineyard Vines in Georgetown to meet Lisa Birnbach! 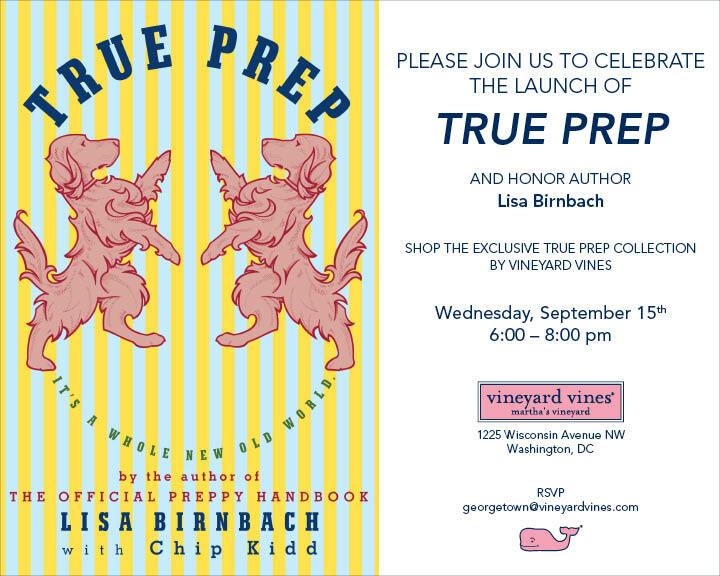 The author of True Prep will at at the store to sign copies of the book while you enjoy great food, drinks, and shopping. Thanks to Lizzie at Vineyard Vines for her sweet invitation! Unfortunately, I have to present a committee report at a DAR meeting or I would be there. It always seems like my calendar fills with multiple events on the same day. I'd be to go to this....if I were on the other side of the world, lol! I already have my calendar marked for when she is in my neck of the woods! Yay! How fun! I'm envious of all of the G-town folks who get to attend.